"Nebraska Christian College in the small community of Norfolk, NE "seeks to prepare workers who will know the Christ revealed in the Bible and be able to present Him to their contemporaries." Students here may enter into associate and bachelor's degree programs in pastoral ministries, church music, and several church-related areas." From mission flows every essential activity. Every thought, plan, activity, word and step is energized and empowered when the soul is consumed with its mission for life. 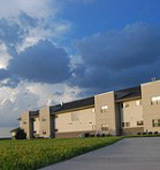 The mission of Nebraska Christian College is to glorify God through the ministry of educating people at the undergraduate level for His work. Nebraska Christian College seeks to equip people who will know the Christ revealed in the scripture and will present Him to their contemporaries. Our desire "to know Christ and to make Him known"Â breathes life into every plan, course, conversation, ministry and extra-curricular activity of campus life. We seek to equip people who know the Christ revealed in the scriptures and will be able to present Him to their contemporaries. Worship. We seek to glorify God in all we do. Wisdom. We seek to impart the knowledge of God's word and God's world with humility. Witness. We seek to live lives of courage, clarity, and compassion so others will come to know Christ and make Him known. Work. We strive to give ourselves fully to God's work so His purposes can be accomplished in this generation. Word. We believe the Bible is the revelation of God's will and our full authority for life and ministry. The average student pays $16,095 for tuition, fees, and other expenses, after grants and scholarships. Total stated tuition is $11,300, in-state and on-campus, before financial aid. Learn more about financial aid at http://www.nechristian.edu. Estimate the net price for you at http://www.netpricecalc.com/calc/nechristian. Want more info about Nebraska Christian College? Get free advice from education experts and Noodle community members.